Spring is absolutely my favorite time of the year. 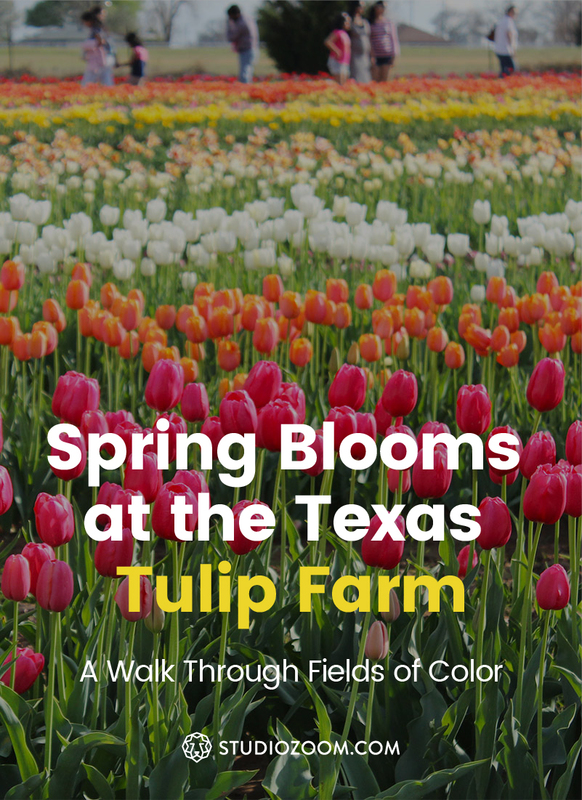 For me, it means it’s time to take a trip to the Texas Tulip Farm and get some photos of colorful blooms and pick a few flowers to brighten my home with. 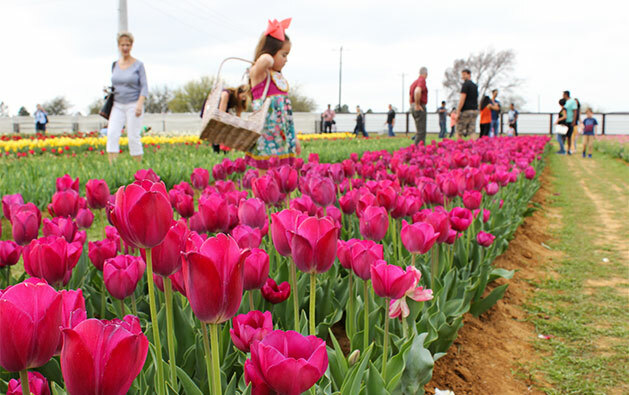 Texas Tulips is a hidden gem in Pilot Point- a small community just north of Dallas. Each year they grow and harvest thousands of tulips for local grocery stores to sell. 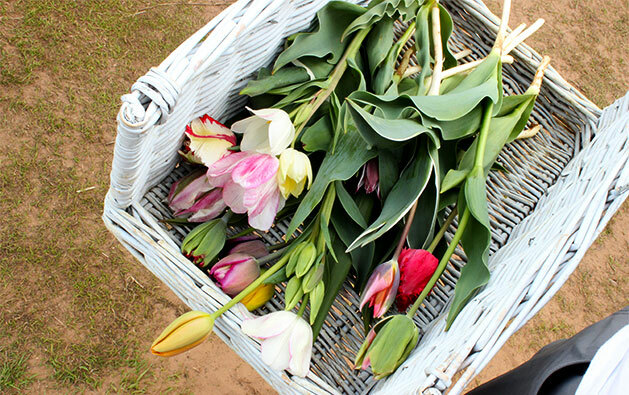 They also open a section of their farm to the public where you can come to breathe in the fresh spring air, take family photos, and pick as many tulips as you want to take home. 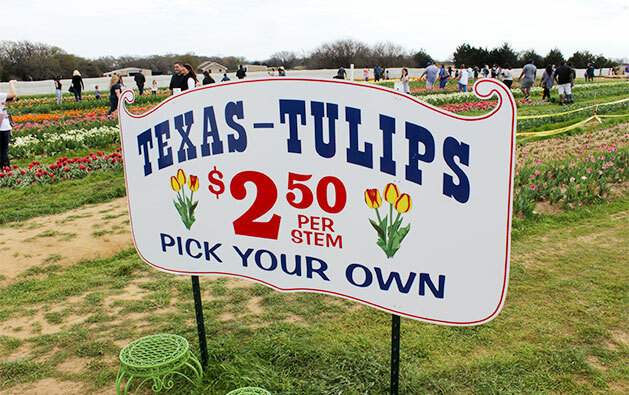 The farm boasts to be the first tulip field in Texas and was founded by a family that hails directly from the Netherlands. 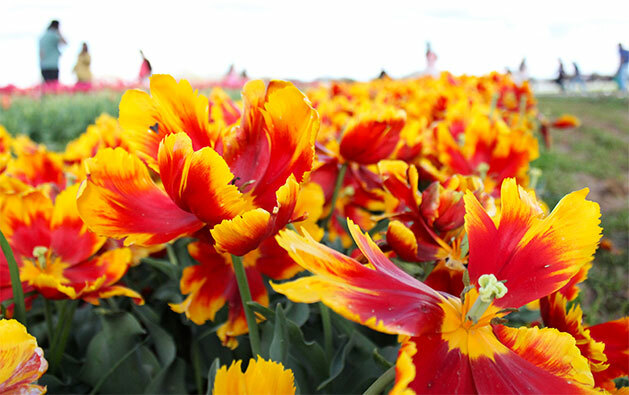 You know… Holland… the world capital of tulip farming. These guys really know their stuff and I’m so glad they decided to share it with Texans like me. In Texas the first signs of spring arrive relatively early in the year, sometimes as soon as February! 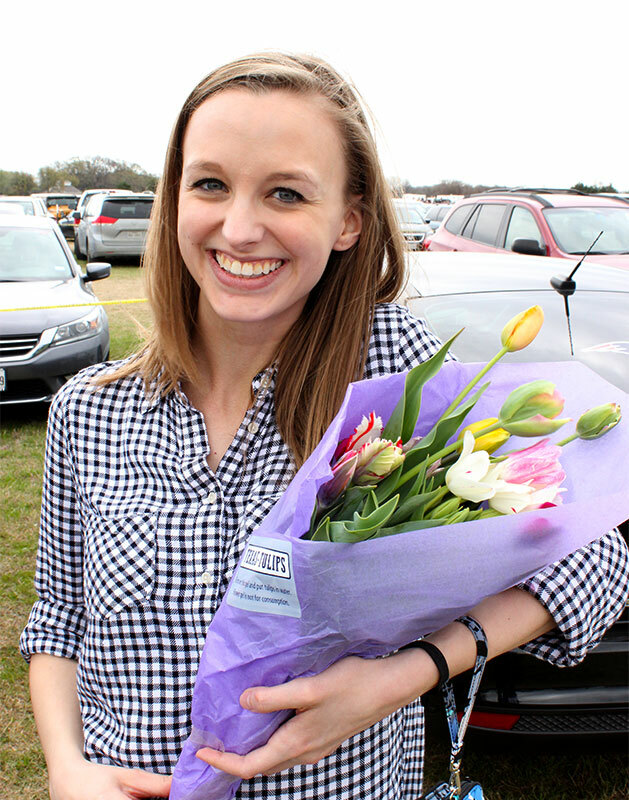 The farm’s opening day varies every year depending on weather and the timing of the blooms. Generally I anticipate visiting the tulip farm sometime during the month of March. Their season is quite short so expect to see them open for only a few weeks before closing up for the year. The rolling fields of color are just what I’ve needed after months of seeing gray winter landscapes. 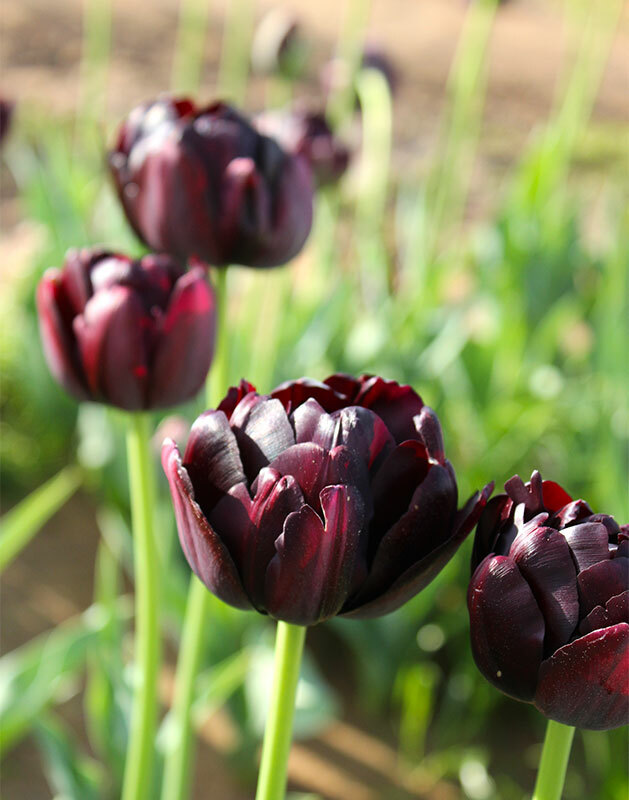 The family’s passion for tulips is quite evident when you see just how many colors and varieties they have learned to grow. 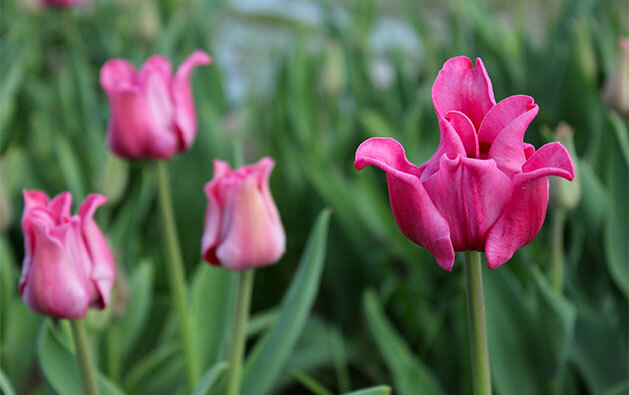 I’m always interested to see pitch black tulips, candy-cane striped tulips and bright pink “ice cream” tulips all within steps of each other. It’s coconuts! Hopefully by now I’ve convinced you this is a trip you can’t miss. You have to visit! To get the best out of your experience you’ll want to consider a few tips. Come Early. Yes, I say this often when visiting places but it really makes a difference when it comes to crowds. The early bird gets the worm stands true, if you are one of the first to arrive, you will have fewer people in the background of your photos and you will enjoy the fields all to yourself. Wear Your Boots. With spring comes rain and with rain comes mud. The rows between the tulip beds are quite muddy and wearing your new cute sandals probably won’t go well. Pick the buds, not the blooms. I know it’s tempting to pick the largest, most perfectly open flowers but if you want your tulips to make it home in one piece, always pick the buds. Don’t worry, they will bloom in your vase at home within a day and will last longer than the already fully bloomed flowers which may lose their petals before you even make it back to your car. 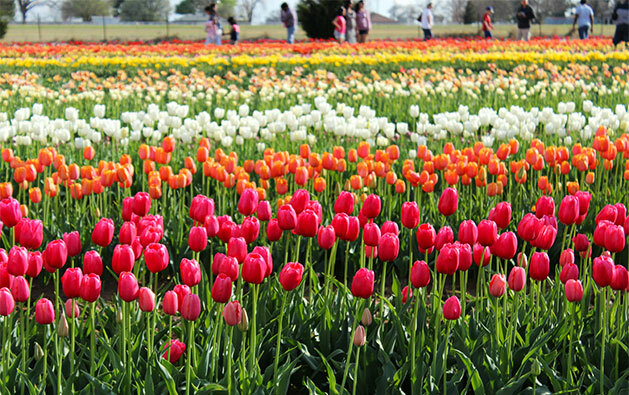 Dallas Arboretum was the only place around town where you could see rows after rows of tulips that was before Texas Tulips entered the spring blooms scene. Isn’t it great to have both available for spring?! The Dallas Arboretum offers so many great views year ’round!